Ultra-modern serviced offices next door to Liverpool Street station in the heart of the City of London. 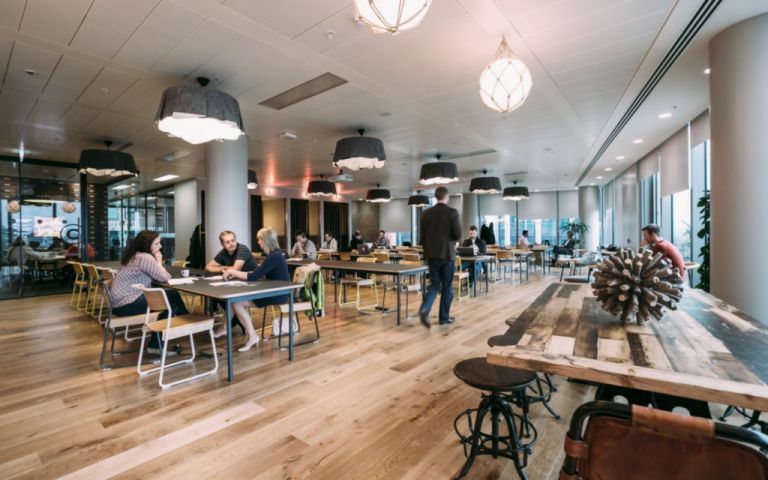 From start-up to corporate, there is something to suit all tastes and budgets at these quirky well connected offices. The brickwork of the old building has been left exposed and is complemented by the vast amount of light that floods both the office space and the communal areas, which gives it a unique feel. High speed broadband comes as standard and there are lounges, showers, conference rooms and weekly events designed to allow you to network or just relax at the end of the working day. Being next to Liverpool Street means that you have a choice of mainline, overground, TFL rail and four tube lines at your disposal. Bike storage is also conveniently onsite. Our Spitalfields centre is located on Primrose Street, within walking distance of Liverpool Street Station and Underground line. Easy Offices Where is the nearest place to get lunch near Primrose Street? Easy Offices Where is the nearest public gym to Primrose Street? Easy Offices Where is the nearest car park to Primrose Street? Easy Offices Where is the nearest coffee shop to Primrose Street?